El Cason restaurant offers a cosmopolitan menu within the old Hacienda building. If you are just after a light meal or snack, then the Sandalo Chill Out bar has a variety of meals on its menu. The Dovecote bar overlooks the 9th and 18th greens and is a lovely setting for a relaxing drink outside, well supplied with parasols for a bit of shade in the summer sun and a great place to watch the sun go down. 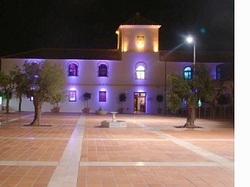 The old Hacienda building is set in a beautiful garden and will be a lovely place for an evening stroll. El Cason and the Sandalo Chill Out bar offer a very modern interior to the historic building and the contemporary coloured internal and external lighting of the building is an attractive feature which enhances the landmark building. 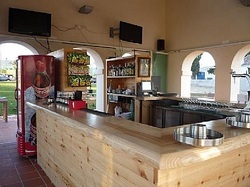 In the bar, as well as alcoholic drinks, you can order soft drinks, coffee and tapas. 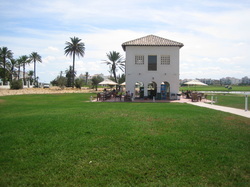 The Dovecote is surrounded by a terrace with tables, chairs and parasols. When the sun moves, so can you! The supermarket is open 7 days a week. In the summer it is open from 9am-9pm, Monday to Saturday, and Sundays and Bank Holidays from 10am to 3pm. 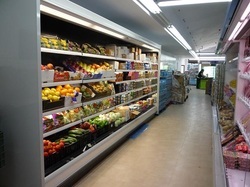 The supermarket stocks a wide range of traditional Spanish food as well as many British brand names. There is fresh bread every day and the supermarket also stocks other household products from cleaners to toiletries. You can also buy British and Spanish newspapers. There is a post box outside. You can purchase Area Net cards if you wish to use your computer within our apartment. 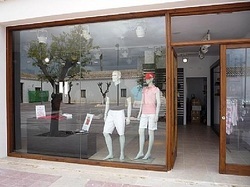 The pro golf shop offers a range of golfing accessories and it is here you book your game. There are changing rooms with showers and lockers for male and female golfers. This is the swimming pool that the balcony overlooks. It has a shallow and deep end, entry ladders and a series of steps leading into the pool where you can dangle your feet while you read a book or get a tan. There is a small pool for young children and a shower. There is a security fence all around the pool with one gate that should be kept closed at all times. There are many pools on site, but it makes sense to choose the one that is so near. blow-up pillows and beach towels. There are also straw mats and a parasol. 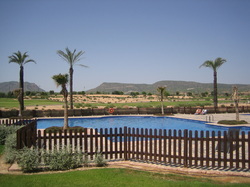 The pool is also used by owners and visitors in the opposite block. It is very seldom crowded and a very relaxing area. There are two outdoor tennis courts and paddle courts for guests to use and these can be booked at the Club House. For those of us who don't know what a paddle court is, it is a game adapted from tennis. 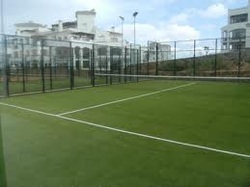 Compared to tennis, the court is smaller and has no doubles lanes, and the net is lower. Paddle tennis is played with a solid paddle as opposed to a strung racquet, and a depressurized tennis ball is used along with an underhand serve. The same court is used for both singles and doubles, with doubles being the dominant form of play. The smaller court size adds a strong emphasis and advantage to net play and creates a fast and reaction-based game. 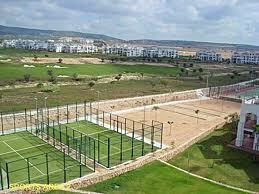 There is a multi sports area with two basketball courts and 5 a side football court. There are also boules courts. There is equipment near the sports area that will enable you to flex and stretch your muscles. 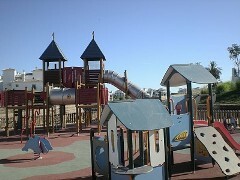 Throughout the resort are a number of children's play area with slides, swings and climbing frames to keep the children amused. This one is nearest the Hacienda Clubhouse.